The refund or adjustment of the available Special Discounts will be at the time of check out. It is required to submit the photo copy of the valid proof of these discounts. (a). A single type of discount mentioned above is available at a time. (b). 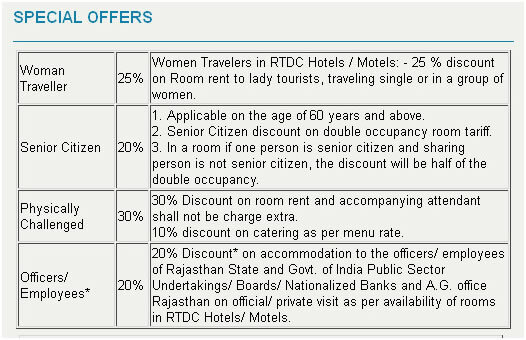 Discounts are not applicable during 24-31 December or during the period of fairs and festivals including the Diwali period. 3.Discounts are provided only if the identity card or other appropriate proof has been given.